Back in the 1970’s I was taking photos with a Contax RTS. I had my prime 50mm Zeiss lens and a medium zoom lens (multi-focal length lenses were not common back in those days). My style of photography has always been more about telephoto than wide angle, and I wanted a lens that would truly bring my subjects in close. I fulfilled that need with a Spiratone 500mm f/8 mirror lens. Spiratone was (basically) a mail order photography company which developed unique products for the photographer. Their line of lenses were produced to be able to fit any camera then on the market by way of a screw-on flange that you could buy separately which contained the proper mounting for that camera. I naturally bought mine with the flange for the Contax RTS. Spiratone went out of business in 1990. 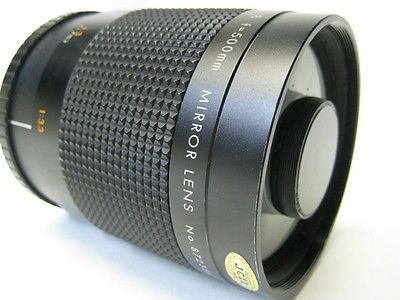 A mirror lens – with that unique solid circle in the middle – gets its telephoto abilities in a short barrel by bouncing the light off of a series of internal mirrors (like a telescope) to get the necessary travel distance. It has some distinctive characteristics that quickly mark a photo taken with one if the photographer is not careful. The most obvious is in what we today call bokeh. It does not produce a very pleasing out of focus area, and the spot highlights come out as round donut like marks. (You can see the effects here) I usually used it to take pictures at sporting events where it worked like a charm – as long as there was plenty of sunlight so I could use a high shutter speed. While it is not a great lens – inexpensive mirror lenses never are – I think the result is quite acceptable. What do you think? If you look closely, you can see the leaves just starting to turn already. And now we will take our leave of you until the next time when we will come back to the pond to show the arrival of the Fall foliage.